BJCORP forming bolinger band squeeze. 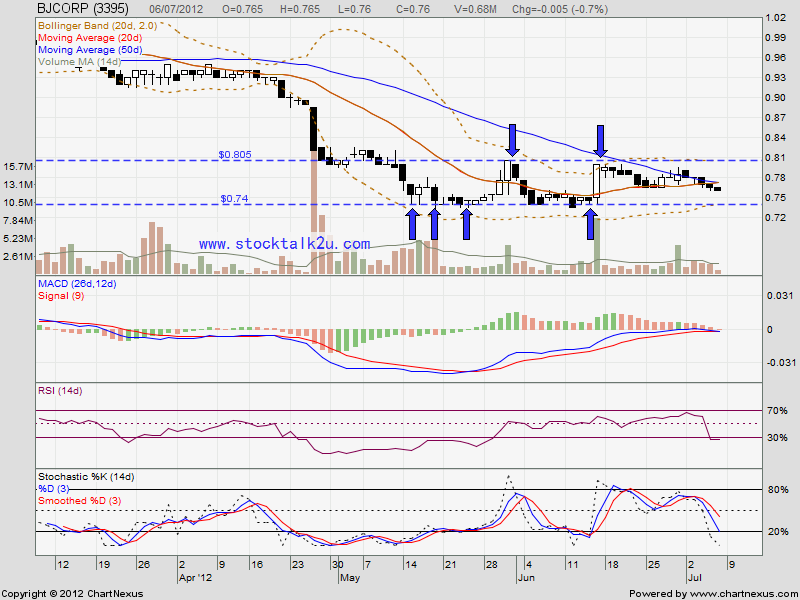 High posiblity will retest RM0.74 support level. If rebound, MA20 / MA50 would be immediate resistance level. 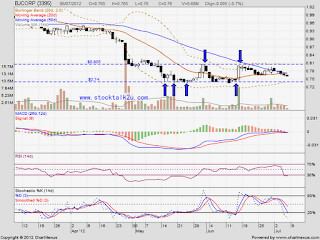 Subsequent resistance would be RM0.805 level.